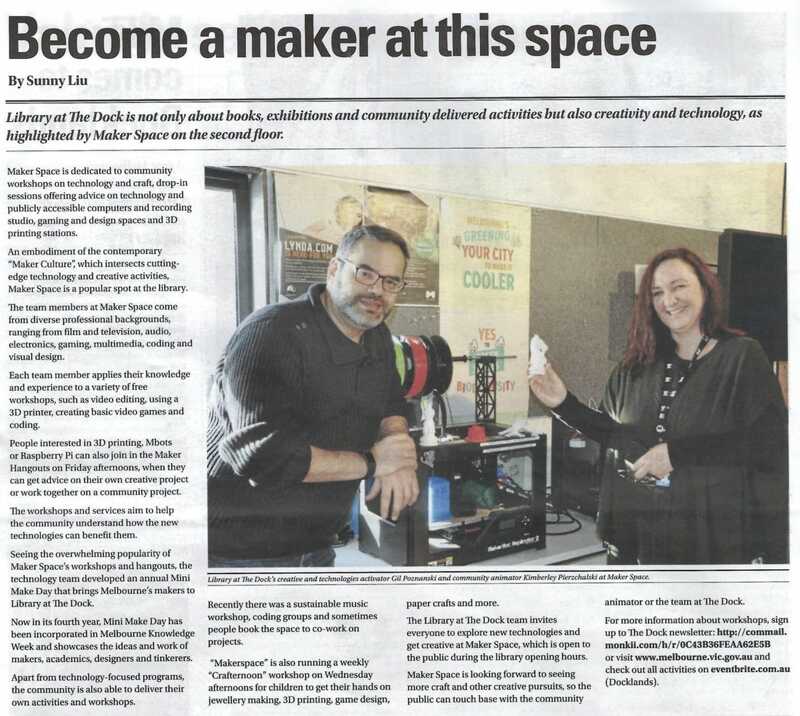 Library at the Dock’s own Makerspace is the subject of a local newspaper article featuringGil Poznanski who is the Creative Technologies Activator for the library. 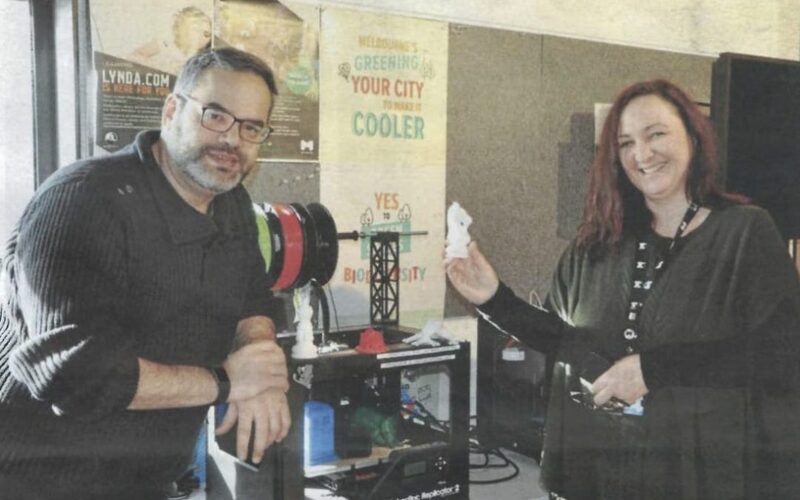 The article discusses what the Makerspace offers to the public as well as discussing the importance of technology and science as well as learning through creating and play. The library offers introduction sessions based around new creative technologies such as electronics, 3D printing, coding, and games design. These sessions run free of charge and the program can be found here.